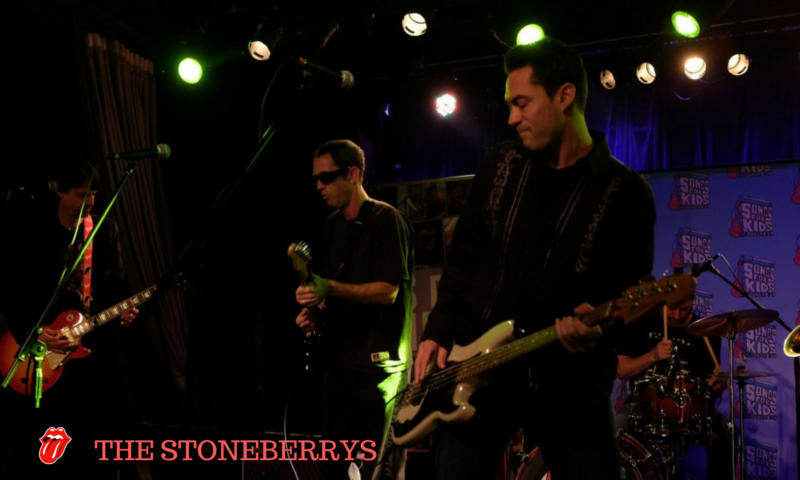 The Stoneberrys are a Rolling Stones and Chuck Berry Tribute Band From Atlanta GA, playing the best of the Jagger/Richards catalog. Formed in 2013, The Stoneberrys have entertained audiences all over Georgia with a mix of Rolling Stones classics (Brown Sugar, Honky Tonk Women, Satisfaction, Start Me Up, Gimme Shelter, Miss You), rarities (Down Home Girl, Shine A Light), songs that they covered themselves (Not Fade Away, Like A Rolling Stone, Little Red Rooster, Time Is On My Side), and many songs by their biggest influence, Mr. Chuck Berry (Carol, Little Queenie, Don’t Lie To Me, Sweet Little 16). This is not a band playing dress up (in fact we don’t look much like The Rolling Stones at all) – This is a band that gets to the HEART of the songs and plays them with the drive and conviction that they deserve. We love The Rolling Stones and Chuck Berry and it shows in our performance. The great time we are having is contagious.